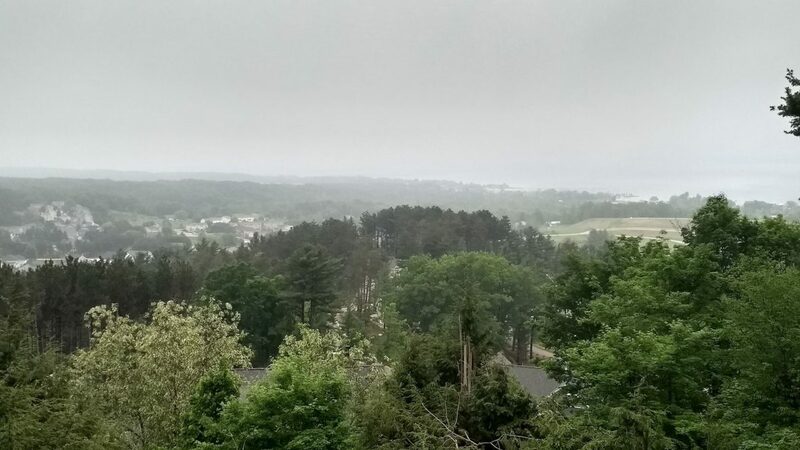 Traverse City, MI Home Window Tinting Film – One of the primary reasons you would have a house in this location is to take in the stunning views of Grand Traverse Bay. However, large windows that allow you to enjoy the view also can bring in excess heat and glare as well as cause fading of flooring and furnishings. The owner of this home wanted to retain all the great views while minimizing these negative elements. After careful consideration, they decided on a Vista Window Tinting Film that actually enhances the views of the Bay while helping eliminate the issues that come along with windows of this size. Check out these pictures from after the installation to see the finished product. If you are interested in learning more about how Vista Home Window Tinting Film can provide an enhanced view while still adding sun protection to your home, click HERE. You can also give us a call today at (231) 943-9773 or Contact Us using our online form submission for an absolutely free, no obligation consultation and quotation on implementing home or business window film. Our service areas include Traverse City, Grand Rapids, Cadillac, Petoskey, Roscommon, Ludington, Michigan and the surrounding areas.